One place to consolidate all your documents. Keep your files stored in Google Drive, Dropbox or OneDrive, and link them to any Apptivo record. There are plenty of ways to take notes, Apptivo provides you the ability to express each and every activity in the form of Notes, through the Notes Application. 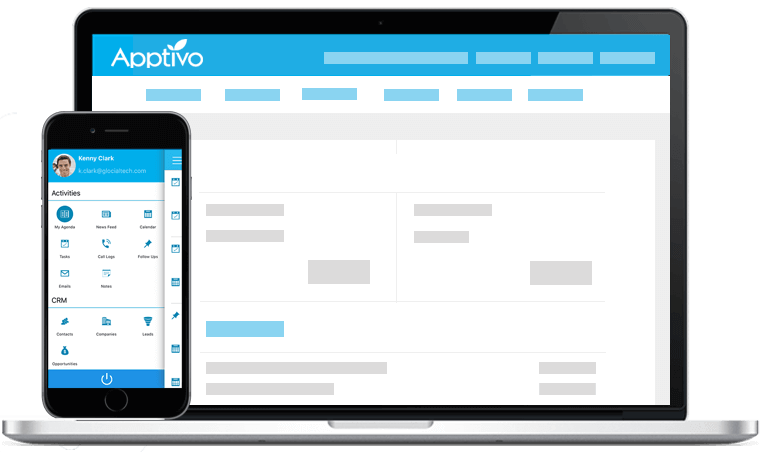 With Apptivo Notes application, you take down any useful information, that is, a log of changes or updates of anything. Share notes with your users on the go. 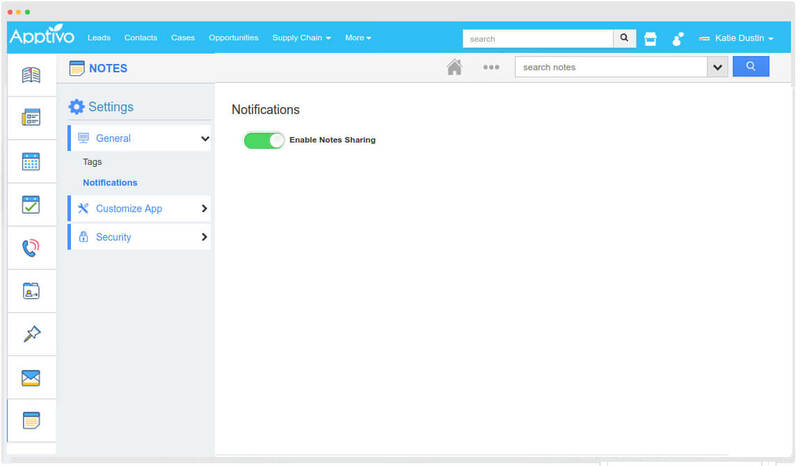 Enable the Note Sharing toggle, and get to share the notes instantly, at ease. The simplest way to share your notes. 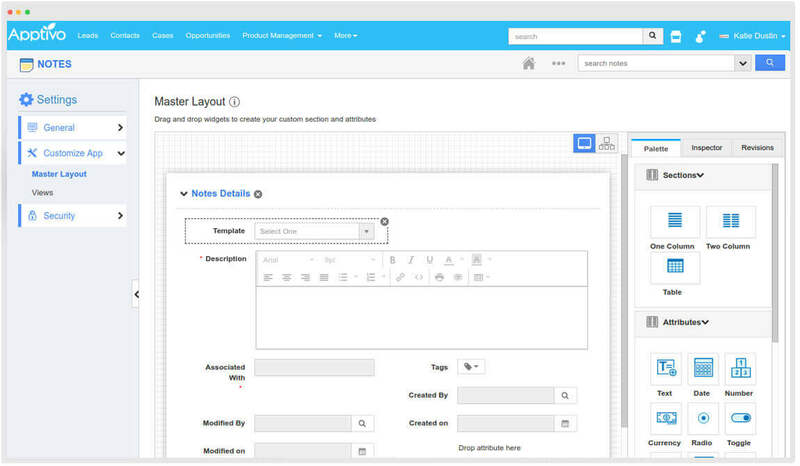 There are dozens of customizations, from the ability to create custom sections and attributes, show or hide the fields, categorize notes by tags, configuration of the views, and much more. Notes can be created, associating it with the required employees. Helps to keep all your notes organized. 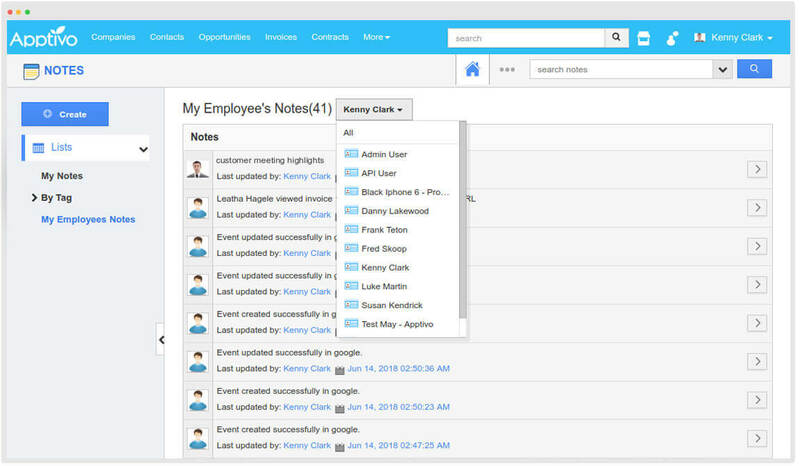 You can have a view of all the notes associated with a particular employee. Closely integrated with almost all of the apps in Apptivo. 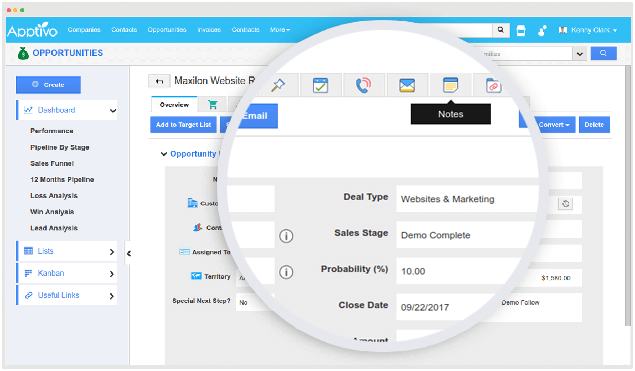 You can add notes from a customer record, leads, opportunities, and even in the creation of templates etc. 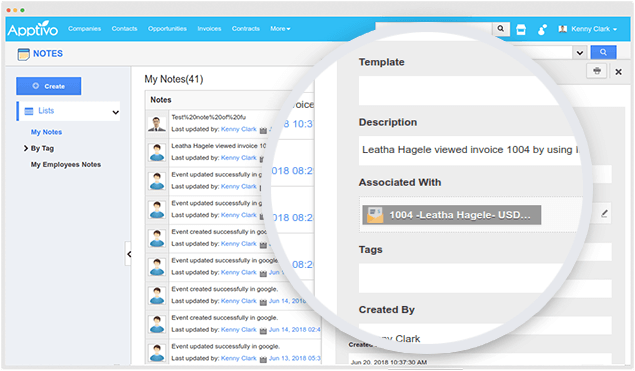 Easily associate all your notes with respective object records. You can also find that note in the respective object’s notes tab.